Most people understand that investing in home insurance is important because a home is most people’s most valuable investment. Home insurance is supposed to provide financial relief for people whose homes are damaged by a number of disasters, such as fires. People who have felt the pain of major damage from a house fire often find relief in their home insurance policy. How do people go about filing an insurance claim for fire damage and working with an insurance adjuster after a house fire? Has your Las Vegas home been damaged in a fire? People who are filing a claim for fire damages to the home need to remember a number of important points. The first step is to make sure that the policy is fully understood. Is fire covered in the policy? If fire damage is covered, are personal expenses and living expenses covered as well? This will determine what the insurance company will pay for and what the company will not pay for. Sweep the house and check to see what personal belongings are damaged. Examples of belongings that may be covered include clothing, jewelry, and electronics. Make sure that these belongings were documented with a receipt or a photograph. Failing to produce proof that the items were damaged can result in claim denial. Related: Why Should I Have a Home Inventory List? It is important to review the story with the police or fire department before contacting the insurance agency. Write the story down to make sure that all of the pieces fit together. It is likely that the story will have to be told multiple times to multiple people in the insurance agency. If the story changes, the claim could be denied. What if the House Fire Insurance Claim is Denied? Unfortunately, some people might have their claim denied. It is important that they don’t give up and check out some important points below. The insurance agent is the person who will go to bat for the client when filing a claim. The insurance agent will review the policy to make sure that everything is covered. The agent may even file the claim again or contact someone in the office for more information. People without an agent may need to skip to this step. People can file a claim with the State Insurance Commissioner. If all other options have been exhausted, customers can file a lawsuit against the company in court for a breach of contract. This involves hiring an experienced attorney. Related: Is Renters or Homeowners Insurance Worth It? When people file a claim, it is likely an insurance adjuster will visit to assess the damages and value the claim. There are some important points to keep in mind. The adjuster already knows the story. You will have to tell it again. Don’t change the story. It is common for adjusters to ask the customer technical questions regarding the circumstances of the fire. Don’t guess at the answers. Refer them to the police or fire report for such detailed questions. When people are speaking with an adjuster, they may become disheartened at some of the information that they’re hearing. If people feel that the negotiations are going south, feel free to ask to speak to a supervisor. 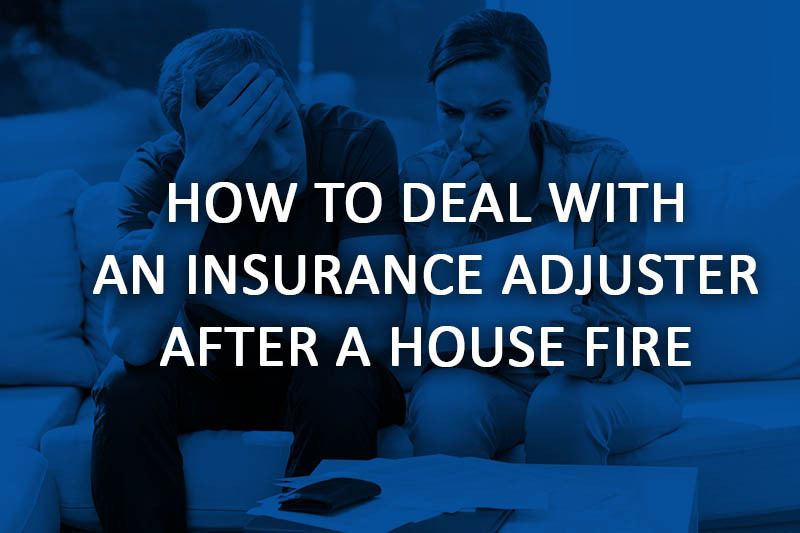 It is never an easy process to get a claim paid out for a house fire; however, keep in mind that the insurance policy is there to help people during their time of need. Have faith in the process and ask for help if needed.